Malabar Paintworks features classic and contemporary paint colours taking inspiration from our stunning hand-woven fabric collections. All colours are available in matt and multi-surface satin. 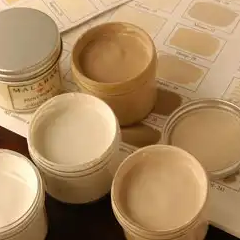 Sample Pots and free of charge paint chips are available in all colourways of the matt paint.